It’s all about trusting the numbers right? But what if the numbers are wrong or even biased? 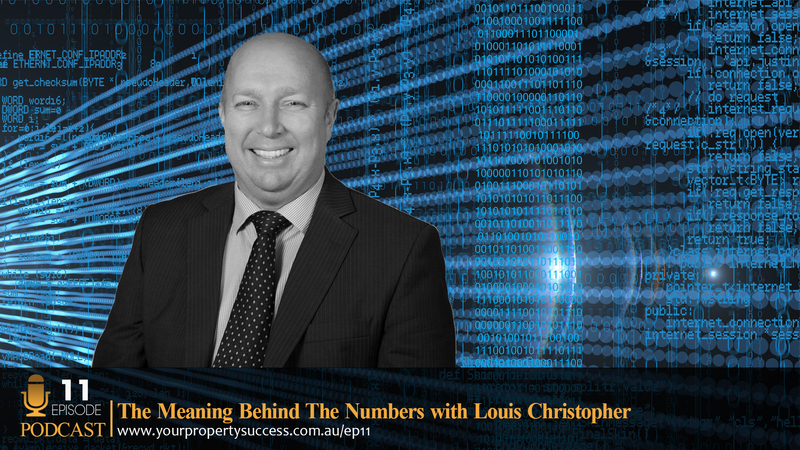 In this episode you will learn the real meaning behind the numbers as we are joined by one of Australia’s most respected property analysts, Louis Christopher from SQM Research. Louis is on a personal mission to make high quality, impartial property data accessible to everyday Australians. You can have an overvalued market but it doesn’t necessarily mean that you’ll have a downturn or a crash it may just mean that the market may underperform for a period of time. The higher the return the higher the risk. And now here’s your host, a lady who once owned a pet rabbit who thought he was a chook, Jane Slack-Smith. John Hubbard: What were the symptoms? Could you do them for me and I’ll just describe them to the audience. Jane: Okay. You actually want me to act this out. All I’m going to say is that he did manage – and this is hard for a 15-kilo rabbit. He did manage to climb up on the roost and kind of squish along a little bit, knock the chooks off and jump on them. Jane: I don’t know if he trying to cross pollinate in some way the rabbit-chook DNA but there was a lot of chooks that were squished and he had a lot of fun and he run back at me, get back up on that roost and he try to balance until he got to the next you could get knock off and jump. It was a lot of fun to watch. Our farm was full of fun and that one of the animals that had issues. I’m sure you guys are going to bring up more in the future. Jane: So, a big welcome today to Your Property Success Podcast Episode 11 and thank you for joining us. We really appreciate you taking the time to be here. I’m very excited about what’s coming up today because we are going to tackle the big questions, aren’t we John? Jane: And we brought in the big guns. Now, we’re going to look at questions like, what triggers a downturn in the Australian housing market? Are these triggers likely to appear in 2017? Something we’re all interested in and how can a novice investor read the market cycles and the key indicators of any movements up or down? To answer all these and much much more we have the founder and CEO of SQM Research, Louis Christopher. John: Yes. Certainly one of the big guns in the Australian property landscape but I’m also keen, Jane, to hear about what he calls deep markets. He’s coined this phrase deep markets and it’s markets that have consistent returns over long periods of time. And also, the boom and bust report that SQM do, I’m very keen to hear about that for 2017. Jane: Oh, aren’t we all? We have also lots of information coming up. Grab a coffee and your pen and notebook because you are definitely going to want to refer back to this one. Jane Slack-Smith: Hello Louis, how are you? Louis Christopher: Good, thank you Jane. Jane: Oh, we’re very excited to speak to you today, but tell me this, a lot of people don’t know about Louis, so if someone sat next to on a plane and said, “What do you do?” How would you answer them? Louis: Oh my goodness. Okay, I would say that we’re one of the more respected property data suppliers and analysts in the Australian housing markets. I would say there ares actually two businesses in one though. We do property data supply but increasingly we also race and review investment management funds on behalf of the country’s financial advisors and that’s one of our biggest markets actually, is the financial advisor community because increasingly through the growth of __ super funds advisors require property data and property information. But of course we have many customers, mums and dads through to government institutions as well. And probably the best way people like to compare us is by __ largest competitor which is called Logic. We definitely compete with them heads up, but we’re 100% Australian owned. Jane: And tell me this, you mentioned you provide analysis for financial planner so they can make better recommendations for mums and dads. Is that where it started or did it start with direct to public content and review of information? Louis: Yeah well it started in 2006 direct public. That year, I was the general manager of Australian Property Monitors which in year was bought out by Fairfax, and I decided I actually really want to go out there and run my own show. I always had that ambition, so I went off on my own and launched SQM Research at that point and one of the first index’s we put out there was actually just presenting demographic information in a completely different manner altogether which we still do today. And then the next index we put out there was the vacancy rate index which was a well first in terms of covering vacancy rates by postcode. Jane: Which is what you’re probably most well known for isn’t it and appearing in the back of the all the magazines. Louis: Yeah, that’s what we’re best known for, is vacancy rate. If you’re putting vacancy rates into Google we come up first and if you’re putting free property data into Google as well we look like we come up first as well. Jane: There’s a tip for all the listeners. Louis: We are well beyond vacancy rates now. Jane: Absolutely. I was just saying, you’ve come a long way but if we go back to — how did you first get into property or was it statistics, where did you start? Louis: I’d say, probably fire, I did have a bad experience if anything. Back in the mid 1980s, my grandparents who raised me bought a property on the Gold Coast and they got burnt through it pretty badly through some underhanded practices that were occurring and I witnessed that firsthand. It was very hard for me to actually see my grandparents getting burnt like that. Jane: Was that their home or was that an investment that they did? Jane: It wasn’t just your grandparents, was it? 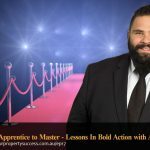 During that period of time, that whole triangle selling thing that was going on in Gold Coast in particular, there were so many people whose first property investing experience wasn’t what they expected it to be. That’s something that we still see today. The practices are still there, aren’t they? Louis: The practices are still there. I think people are more aware of the practices. But you’re quite right, they’re still there perhaps some of the more dirtier tactics have been kind of taken care of. I still see some problems there where people overpay for new properties and then you get burnt on the other end because they overpaid to begin with. Jane: Were your grandparents able to get out of that situation or it took them years to recover? Louis: They got out at a substantial loss. When you’re a retiree, losing basically half your money on a property investment isn’t good at all. Louis: So, yes, I experienced all that and saw that firsthand, hoped the turning of the property itself though. Jane: So, you had hope. Jane: How did you do that though? Louis, how did you change that from that one bad experience because I speak to people all the time who talk about grandparents, parents, neighbours, friends, taxi drivers who’ve had a bad experience and they’re burnt without even going into it. You obviously saw people quite close to you having that effect. What gave you the confidence that property was still an asset class that could be safe and secure for your investment dollar? Louis: Good question. I think by strictly doing the numbers and doing the research and investigating it. I guess I had a natural curiosity for it and I was also aware of people having good experiences as well, genuine stories of people doing rather well out of it. What really enticed me for my first investment was I was actually still at university and I actually bought an industrial property funny enough on the Gold Coast. You think I was out of my mind. Jane: Yeah. Okay, I’m waiting to see where this goes. Louis: It was actually a bit of a rollercoaster ride. I bought this industrial property when I was 22, still in university. At that time, you could buy a property at a very high yield, so I bought this property on a net yield of 12%. And at the time the money I was borrowing it at was at 8% percent, so it was very cash flow positive. The question that’s always asked of me is, how did I get the bank to lend me money while I was still at university. And that’s an extraordinarily good question. I don’t recall exactly how I did it at time now looking back, but it was along the lines of bringing forward to the bank manager a great investment plan, and just proving to the managers that the numbers don’t lie and they work and I think they were pretty impressed. And yeah, so we got we got the money and it was certainly a massive learning experience. I had probably the worst mistake I made with that property was showing the tenants my sites at the time I had all my hair and I was still very very young boy these were 50-year-old gentleman who’d similarly been around the block. Jane: I had a similar experience. You don’t want tenants to know that you’re younger than them. They don’t take that too well, do they? Jane: What did you study at uni? Was it statistics? Louis: I studied accounting and economics. Jane: Okay. And so how did you get into Australian Property Monitors and building that portfolio? Did they happen simultaneously or as you learnt more, you bought more? Louis: Probably coincidentally it was when I finished my university degree, I was actually living on the Gold Coast at the time and I moved to Sydney because this is back in the mid ‘90s and it was still very hard at that time to actually get a job as a university graduate. The economy, in some respects, is still coming out of the recession. And so, it was all about getting a job back in Sydney. So, I moved back to Sydney while the property portfolio is still happening on the Gold Coast and started chasing a career in Sydney and my first job was actually with MLC in the funds management business and I was just doing a grunt job, but eventually that job turned into providing market reports to the call centre staff, so whenever the markets would move the, call centre operator would know what to say to these panicking investors. My job was to write that all that out for them. I did that for a while and then I moved to an editorial writer with The Securities Institute of Australia it was what known then and now known as FINSIA. I did that for about 3 years, and then in 2000, the job at APM came up and I was immediately attracted to it. I view at that point it was a very small company and the job initially was about really project management and getting new reports off the ground etc. But the job quickly morphed into doing proper research and releasing research to the market which APM really wasn’t doing much at the time. And then, we moved onto building indexes and that’s probably when we got a lot of notoriety because one index we built, the reserve banking straight, republished it, and it’s still being republished today as APM’s house price series. It just grew from there and I think a natural curiosity and an interest in property statistics, I’ve always had a __. I think there’s always been a niche there. Nowadays of course the tables have really turned. There’s probably too much information out there. Jane: There is, isn’t there? As people don’t know where to look. Jane: Did you find working obviously through MLC and FINSIA and Australian Property Monitors that looking at that data, did that — because I know I speak to people who, as you’ve just said, there is so much information they get confused. Did you see some clarity through the numbers that allowed you to say, “You know, I think there’s something about to happen” because a lot of people read the information wrong. Louis: They do. And I’ve been fortunate enough to be very close to the data and information for many years now that I guess I do get some additional insight in terms of working out if a certain indicators going up or down or whether that’s just a false positive or it’s actually telling the well something is really happening in the market. I guess that takes quite a few years of experience, but there are some things I think the average investor who is not so close to property as I am could still pick up pretty quickly. Some obvious ones such as auction clearance rates, for example, during the springtime auction clearance rates tend to fall each spring. Jane: Because there’s more on the market. Louis: Because there’s more on the market and people like you and I we know this. It’s rather obvious, but when you have, say, a novice investor just reading the newspaper, they read a story saying, “Oh, auction clearance rates have fallen like a rock.” And the report isn’t about the fact that, “Hang on, it’s springtime. This happens each and every year.” That’s where you can see how investors can easily be misguided and be easily confused in terms of what truly is actually happening. Jane: If we said all data’s not equal, as a property investor, mum and dad going out and looking at starting their first property investment purchase and trying to look at the data, what would you say would be maybe three to five of the key criteria that they would look at? Louis: That’s a very good question. I think firstly to get a handle or get a grip in terms of what’s actually happened to each of the various city capital city housing markets and regional housing markets over the long term. Perhaps go on to the ABS’s website where they have available for free the capital city housing and unit price index which they have back now I think for the last 20 years now freely available and that’s an easy one. You just have to go onto the site, type into the search “housing prices” and up will come the index. I think by doing that for starters will give a grand overview in terms of how the markets have moved over the long term in terms of the peaks and troughs out which cities have actually outperformed others and then take it from there. Basically, I would sort of take it from a top down overview, get a really good handle, a really good understanding of the big picture, and then keep on going down down down to the local area that they’re particularly interested in, but always have the longer term perspective – what’s happened historically, __ helping my opinion. I think that makes it easier then to work out some shorter term leading indicators. Jane: Just picking up before we go to the short term indicators, I mean, I’m a big believer in you know you have to look at the history because we really don’t know what’s up in isn’t that in the future. But from looking at the historical information, has it changed since you’ve been looking at it? Like, have cycles got shorter or longer, has the quality of information changed that allows us to make these decisions that we need to make when we’re making a purchase? Louis: Very good question. I don’t think in terms of the cycle we haven’t seen any major change but every cycle is different in its own right funnily enough. I don’t think, for example, we’re seeing more choppier housing market, we’re still seeing longer term trends. We have markets stay in their in the cycle for pretty much the same amount of time. So, for example, Sydney now has been in this property boom effectively since the very beginning of 2013. Perth on the other hand has now been in a downturn since 2013. That’s a longer term cycle now we are 2017, four years, maybe we might see a turnaround in those two respective cities next year. No, I don’t think that it cycles getting any more choppier, so I think we’re still seeing the same factors influencing the market. I would only say that I think over a period of time interest rates have had increasingly having more of an influence on the market. Jane: I guess that’s an important thing, is that people often look at the historical data and you can argue away that that happened in the past and we’re now facing a whole new set of dynamics. But that argument can be made at the beginning in the end of every cycle, can’t it? If you look from the big picture and you can look at the historical data and still see those trends than there still has some, I guess, relevance to considering the past when looking to the future which leads me to the future. What are some of the short term trends that you would look at or you tell people term to investigate? Louis: Yeah. Well, one of my favourite indicators I like to follow is monthly listings data. It’s more on the supply side. It certainly helps me pick the turning points in a number of markets. This is a measure of the total number of property listings in the marketplace. Generally speaking, what I see is the greater the listings the slower the housing market and that tighter of listing all of the lower the number of listings in the market. The tighter the market is the more likely you’re going to see greater price increases. It’s really simply down supply and demand. The tighter the supply that could be as a result of a number of factors but usually it’s a result of demand absorbing the stock that’s there and that creates upward price pressure in the marketplace. Jane: And tell me where would they get that data. Louis: Well, certainly they could some our site and get it. We’ve had that series on for free on our website and you can just look up the stock market, the charts are actually available for free. Jane: You’ve added some other things haven’t you? That asking prices and rental asking prices which are really interesting. I find them really interesting indicators in the market. Louis: Yeah, that’s right. They’re not they’re not perfect because once again it’s looking up from the vendor perspective and so on and so how confident vendors are in the marketplace. Usually, if they’re very confident they’ll start lifting their asking prices or their asking rent. If they’re less confident, they’ll actually they’ll actually start reducing their asking price, will start discounting more. And funnily enough, what the information does show is that vendors are actually a little bit more responsive to market conditions or perhaps what we all thought. I’ve seen a strong relationship between the ABS house price series and APM house index versus our asking prices index. I am a believer that vendors nowadays are a little bit more responsive to market conditions, not all of them of course. You can certainly many a stubborn vendor who doesn’t care what the market is doing, they’re only going to sell for X amount of dollars and that’s that. But funnily enough, it does seem as though many other vendors out there are willing to meet the market. Jane: It’s interesting. I’ve had a conversation with a couple of clients just today and late yesterday afternoon and with without a lot of information to back their conclusions, one has decided to wait 6 months before they put the property in the market because they think it’s got a few more legs to run and the other told me that they think the peak will be in August. One is in Sydney and one is in Brisbane. Louis: Wow that’s very down to the month. Jane: I was like, I do a lot of analysis, tell me where you’re getting this data. They’re like, “Well, it’s a gut feel.” It kind of brings me back to the fact that it’s how you read the data isn’t it and a lot of people do really read it wrong. Just things like – well, you can explain to us about yield. The data on yield in a particular suburb, does that mean that this is a good place to buy? Louis: No, not necessarily. I mean yield is often a function of risk, the higher the return the higher the risk in the property. Going back to that first property purchase where I bought a 12% yield, I can tell you now I was taking a lot of risk and it was a bit of a rollercoaster ride with that property. The returns certainly represented the risk at that point in time. But often what you can find is that as prices rise or accelerate compared to rent, the yields go lower. Your acquisition in yields goes down and sometimes you can find that the yield is not representative of the actual risk in that local marketplace because potentially our property prices are being bidded hard or rents are falling in that area. Yield is a very interesting one to watch. Obviously it does represent a type of rental return you may well receive in that local market. We have once again a chart up on that on our website available for free where people can see how yields have changed over time for a local area. I think as an example how things can get a little bit out of whack looking at potentially a number of Perth suburbs where we’ve noted that yields have fallen which normally represents the fact that prices have risen, but no, it hasn’t. In this situation, rents have fallen a lot faster than prices and that’s what’s actually sent yields down in Perth. Jane: Because we’ve also seen you know if you just looked rather than the graph for instance of yield and what’s been happening and getting a feel for how the price of the property has changed, if you look at the short term growth, we are all very focused often on the capital growth because obviously we need growth to retire on and we need them to go up in value first sell at some stage making it worth more than we bought it for apart from the loans and put the money in the bank and live on a beach somewhere. I’m just wondering what your thoughts are on looking at growth in isolation. What kind of timeframes that you’d suggest people look at. Louis: Yeah, I’m generally anti doing, say, 12-month hot spot story and things like that or publishing data just showing the 12-month change because often that 12-month change can just simply be skewed by too many properties selling at, say, the top end of the market only to be followed by the next period where are a whole bunch of properties sold at the bottom end of the market range. That 12- month change you see in localities where you’ll see in a newspaper story, so-and-so has gone up by 50% last 12 months, I’m normally very sceptical but that’s what’s actually happened for that locality. Just knowing the data as I do know, it’s more likely that the median price quoted for that locality has been skewed in some way. You had that issue to begin with and then as you rightfully said, you can have localities which will actually outperform very quickly for a very brief period of time when there is literally a shift upwards and then that’s all you’ll see for that locality. There’s nothing else driving it and sometimes you will see that, for example, in mining towns as an example. One needs to be careful about that. One of my preferences is you know in terms of investment, my preference is stable localities where I call they are deep markets. There’s actually maybe not a lot of volatility that goes in this. You may well not see such the big short term spurts, but the return price off those localities is more consistent over time, and the ability for the property owner totally sell out of that market when they want to is there. Jane: What characteristics do you find – how would you do describe that deep market? Is it a house, a unit, is it on a certain level of land? What are the characteristics of a deep market? Louis: When I mean deep market, I mean, there is high sales turnover in that area that usually is characteristic of a deep market. It’s a little bit like if you quoted say some to some listed companies such as BHP, I can tell you now that you know if you own a BHP stock, you could sell out at any time you want it. There is no problem in terms of being able to sell out. Whereas if you bought say a $0.10 cent stock, it’s not on the index, it may well be a lot harder to actually sell out of that company and it’s the same for residential property. There are deep markets in blue chip areas where, hey, no matter what the market conditions are if you really want to sell you can sell out. But unfortunately, there are certain markets in this country where, hey, it won’t matter what price you put that property on. You still won’t be able to sell it because there are no buyers at all. I think for an investor to go into those type of markets is very very risky because the problem is when the downturn comes, often the downturn could be with that locality for many years. Jane: And I guess, I mean, if I just kind of summarize that, what I’m hearing is that deep market with that repetitive sale and the sales going on despite the market, you don’t want to have a specialised property in that kind of market. 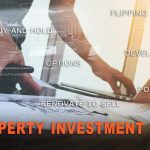 What it is, is a typical property that a typical person wants, so you’re reducing your risk by having that kind of typical property that will sell anytime. Louis: That’s true. That is in part true. I would only say in what I describe as deep markets even the specialised properties are unique property, maybe at the top end of the market or in another scenario a property that’s on a major road will still sell in deep markets, but they certainly won’t sell in shallow markets. In markets where you know you wake up tomorrow and there are just no buyers at all in the marketplace. Jane: Tell me this, you’ve kind of morphed from that front-facing consumer selling –providing them information based on your experience with APM and previously and I guess that drive around telling it as it is and that’s what I’ve always loved about SQM. You’ve come out with the big calls when you need to make. When you see trends, you follow them rather than hide behind the data when no one else is actually calling it. What would have been some of those big turning points or calls that you have made in the past? Jane: What were you saying there in the data? Tell me about that data that made you come up with that conclusion. Louis: It was probably the third quarter of that year just noticing that auction clearance rates were coming in a little bit weaker than expected at that point in time. Also, recognizing that the market was quite overvalued, so I knew it wouldn’t take much of a trigger to create a downturn and also noting that the Reserve Bank of Australia had been lifting rates to try and slow the housing market down, so they were hell bent on slowing the market down. And when you’ve got a Central Bank basically stating to the world, “We’re going to slow the market down.” Well, they generally have the power to do that. Jane: They did back then. That’s definitely right. 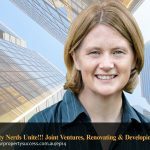 Louise: The one that really played out was in early 2004 when the market was slowing down at that time, but then you may recall state laboured government in New South Wales deciding putting on a vendor stamp duty which was just crazy stuff and that really put a hole in the Sydney housing market. But following up, the other markets did slow down in the first half of 2004 due to the rate rises, but then picked up pretty quickly. Brisbane really took off later in 2004. Melbourne had a slowdown but then kind of shrugged it off later that year. We didn’t entirely got that one right but I think we did initially get it right in terms of the slowdown would come. Jane: Tell me this Louis, how do you how do you assess if a market is overvalued? Jane: Negative gearing being wiped out. Louis: Or a negative gearing potentially being wiped out, a major event is often required to change the momentum in the marketplace. I think that’s one thing that’s helped with our calls in the past years because we recognised that the market can be momentum. It’s often momentum and emotionally orientated and that’s helped us make correct calls in the past. Jane: I look at the market now and obviously being involved with mortgages and watching interest rates closely, the RBA seems to have lost a little bit of its power because the banks of doing those are out a cycle rate rises and kind of already bringing in though those rate increases, so maybe the RBA doesn’t have to do that. But are you saying, when you talk about that in 2003 with that overvaluing and the clearance rates and maybe the interest rates moving and you’ve just said that Sydney and Melbourne look overvalued and the triggers that you’ve got, of any of the triggers that we should watch for that you’ve mentioned, what do you think could be the most likely that would push that kind of correction. Louis: I think the most plausible scenario that could play out over the next 12 months and ___ the first 6 months but saying the second 6 months potentially is a combination of APRA jumping into the market again to try and slow investor growth or investor purchases and the RBA lifting the cash rate. Those two events could play out in a similar time frame, so it could happen simultaneously and if that were to play out, that would be the likely trigger for the next downturn for Sydney and Melbourne. We’re keeping a very close eye on what the money markets are suggesting interest rates will be in the next 12 months because often the banks will change their interest rates simply based on what the money markets are doing, so we’re watching that very closely. We’re also watching investor credit growth because that’s something we know that APRA, the Australian Prudential Regulation Authority, are closely monitoring and you may recall in 2015 they took action in the market when investor credit growth went over 10% percent per annum. Jane: We’re still feeling the fallout of that in the mortgage business. It’s amazing that change in borrowing capacity, some people were approved for $900,000 dollar purchase prices and were there actively looking and doing all this research in those suburbs with those price points and then 3 months later, their approval is up and we had to go back and say, your new purchase price is $475,000 dollars and completely different type of property and different type of suburbs. It’s extraordinary how that changes. Louis: There is they could jump in again if the investor credit growth goes beyond 10% per annum. There is a chance that this year it will. They’ll be in the market again trying to restrict lending. Jane: If you’ve talked about the potential correction in Sydney and Melbourne and that Sydney’s going up in 2013, Perth started coming down, if you’re looking at the next 3 years, what would be the general comments that you’d make about the different markets that we have? Louis: Good question, very very hard to forecast out 3 years. We seem to have a knack of doing about 12 months, but there’s just a lot of X factors that can play out over a 3-year period, one of them being for example exactly what’s going to happen in the US economy. Will Trump, for example, run a very protectionist economy and could that start a global trade war? Well, there is a risk of that and that potentially could be damaging for various economies including our own over that timeframe. On the other hand, if Trump is a little bit more business savvy and is just a hard dealmaker and he goes off and spends big as he’s promised he would in terms of infrastructure spend, that could be very positive for our local economy and positive for the following on through to the restrictive housing markets. That’s just one fact to keep an eye on in terms of a 3-year view. The next thing will be of course what will the Reserve Bank of Australia do over that timeframe. Will they be on a interest rate rising cycle where we see interest rates go up by say a full 1% percent maybe 2% percent over that time. If that happens, it will definitely be negative for the Sydney and Melbourne housing markets. But then by the same token you’ve got to look at well why would they actually do that to begin with and potentially it’s because we’re having a surging economy maybe brought upon by, say, a recovering global commodity prices which seems to have been happening the last 6 months, that would be good for the Perth housing market and the Darwin housing market and perhaps the Adelaide housing market. In all this, I think seeing a situation where the national housing market performs in sync with each other where all the capital cities perform pretty much in line, I think it’s going to be a very unlikely scenario over the next 3 years. Jane: Like it has been in the past. Louis: Yeah, that’s right. That’s right. That’s probably one good thing about our housing market is that it’s a fairly diversified housing market. There are markets within markets and unless ___ crazy like the cash rate going to 10% percent for no good reason, it’s likely that these markets will stay separate from each other and basically operate on their own local economies. Jane: It’s interesting I was talking to someone today who was really worried about the difference between a 4.4% percent interest rate and a 4.04 that their friend was getting and we did the calculations. It was it was ten dollars a week, the difference on their loan. And then they got worried about if interest rates went to 8% percent and the calculation was a difference of $100 dollars a week and they were holding a property that had the potential to make $45,000 dollars a year. I was like, when you put it in that context of how much interest rates go up and the benefit they could possibly get, it really didn’t – it was it wasn’t the big question. It was just, I got to make sure I buy in the right area goes up in value isn’t it? Louis: Yeah. Well, I mean in a scenario where you saw the cash rate go to 8% percent that would affect a lot of markets. The question is will it go to that point. And in that sense, the Reserve Bank of Australia is kind of in a bind. I think it’s no secret that there’s a lot of private debt in the Australian economy right now. That in itself doesn’t mean that we’re going to see a housing price crash, but it is certainly at a level where we have the whole market is probably a little bit more interest rate sensitive than previous times. And the reality is that, okay, reserving Australia by lifting interest rates basically saying they want to see the economy slow down in some capacity. I suspect it will take a lot less than, say, cash rates going to 8% percent to create that slow down effect that they would be seeking. It is very interesting times and yeah I think the 3-year view, in summing all this up, the 3-year view is it’s going to be a mixed market. Most likely be the east coast Sydney and Melbourne in particular re-entering a downturn at some point in time over in that 3-year period. We’re thinking maybe 2018 but perhaps a the recovery finally in the Perth and Darwin housing markets on the back of higher commodity prices. Jane: So, tell me this, should people be buying in a downturn there is their opportunity? Louis: Well, I think it’s a good. Just like the stock market, property prices are never too high to go even higher and never too low to go even lower and just because something has fallen in value that doesn’t necessarily mean now is the time to buy it because it could fall again over the next 12 months. That said though timing is very difficult in this game. I think it’s a combination of perhaps a market which has just bottomed out at a number of the indicators that have suggested that that market has just bottomed out and valuations being very fair and reasonable. A combination of those two factors would certainly be a big buying the indicator for me at the personal level anyway. Jane: Absolutely. Well, let me finish off with some questions. You mentioned thee mixed market out there, what have you seen that makes a suburb outperform other suburbs? Louis: Good question. It’s a combination of income growth in that area outperforming other localities over the long term. That may be as a result of a demographic change that’s occurring in that area, a local market where it’s not that easy to resupply with new stock, so you don’t regularly see the boom and bust happen where there’s a whole bunch of apartments built in that area. Mortgage stress is definitely one of the key factors and funnily enough it can play up in the short term that when you see interest rates get cut that suburb because there’s more leverage will actually outperform. But it only bites you in a sense that, okay, an area with higher mortgage stress will get hurt when you see interest rates rise. Our overall preference is to see areas which have relatively low mortgage stress. People often talk to me about population the growth and how important that is. There’s a convoluted answer with this unfortunately. It can be important but it’s not the be all and end all. Just think of, for example, an inner city established locality that’s been around for, say, 100 years where every lot plot of land had been built out, I can tell you now that that locality is not going to have any more population growth. Jane: And it’s tightly held. Louis: That it’s tightly held. It’s in an area highly sought after. It will outperform versus, say, an area that may well has a very strong population growth. But funnily enough that’s happening at the same time that supply is going crazy. There are just a lot of properties being built and with that rapid increase in supply, that doesn’t normally translate to an outperforming locality. Of course, in all this, you can have exceptions to the rule no doubt about it. But they are just some of the things that I like to look at when getting down to an individual locality. I also like to look at, as mentioned before, suburb depth – the sales turnover in that area. I don’t like seeing a lot of volatility in prices for a particular area at all. I’m far willing to refer to the sort of offsets those 12 month localities can shoot the lights out in preference for a locality that may well not shoot the lights out over the next 12 months but will more likely outperform over the next 10 years. Jane: Is there an inverse relationship between that income growth and mortgage stress? Can you track that? Louis: Yes. It can be tracked. I don’t there’s a necessarily a strong relationship between the two, but to your point, I have come across localities where on the numbers the mortgage stress appears higher but it seems to be offset by very high incomes in that area or rapid income growth. Between the two, would I pick an area that has high income growth but offset by some mortgage stress? Yes, I probably would actually. Jane: Okay. And what about pockets of potential or areas within suburbs that outperform the rest of the suburbs, have you seen some characteristics they have in common? Louis: Tightly held streets are streets where there is quite a difference between, say, the street or that suburb and the worst street and that the difference is significant. You will see that in some localities, particularly if they have some bay side localities, harbour side, beachside localities, you can often get that. Jane: Okay. And for someone who’s just starting out, they’ve got their savings ready or maybe a bit of equity and they’re ready to invest, what steps would you say a beginner should start with today? Jane: It’s not where you start. Louise: Yeah. You basically should perhaps consider starting where you currently live if you can. Jane: So, what’s safe then Louis? Louis: That’s right. There’s definitely a matchup between safety or lower risk and lower return. Jane: Final question. The boom and bust 2017 report that people can purchase off the website, have you got some key highlights that you can share with us? Louis: Sure, sure. We are forecasting a positive year overall for the capital cities. So, the forecast ranges +6 to +10% for 2017. There will be areas that we’ll record fall, so think Perth will have another year of fall, same with Darwin as well, but this will probably be the last year of the falls. So, there’s every chance that we get towards midyear that both those cities will be reaching their bottom in terms of the cycle. Jane: That will be a lot of relief for people hear that. Louis: Yeah. I know, yeah. Sydney and Melbourne will rise and rise quite spectacularly. We see particularly in the first half. So, the forecast for Sydney is 11 to 16% price rises in Melbourne 10 to 15 percent. I’ll be becoming increasingly cautious of those cities as we get towards the end of the year. As mentioned, we think there could be some storm clouds on the horizon in 2018. One of the cities which we are expecting strong and ongoing up performance is Hobart. We’re rather positive on that market, have been since probably the end of 2014 and all the indicators suggesting it would be a rather big year for existing property owners. Jane: And what about good old Brisbane? Louise: Yeah, Brisbane has been an interesting one. It’s caught out a number of analysts. I remember seeing Ali’s forecast new boom from even from as early as 2013 and it never really materialized. Brisbane at the moment is doing an annualised growth rate of about 4 to 6% depending on where you are. House is definitely outperforming units and no great surprise given the oversupply of units in the CDC area for Brisbane. We’ve become more favourable towards Brisbane’s inner east and east for freestanding houses. We think that that’s where the growth is going to be in the long term. It’s likely to pickup. We’ve been all anticipating a greater movement of first-time buyers, investors, upgraders, downgraders moving from Sydney to Melbourne to Brisbane because the standard of living gap between Brisbane and Sydney and Melbourne has widened right up again because of the house price difference. For example, at the moment, the median house price we have on Brisbane at the moment is approximately just over $600,000 dollars whereas of course in Sydney we’ve got it now well over at $1.1 and Melbourne has got it at over $800,000 for this, I’m talking freestanding houses here. There is quite a price gap now and I do believe it’s enticing more and more residents from Sydney and Melbourne to move to Brisbane. Louis: It’s a lot lower. Jane: Do they have the economy to sustain it? The employment? Louis: For now they do. The Hobart and Tasmania economy has had a bit of a turnaround which is great. The state government that’s been in power has done a good job over the past 3 years and it’s been paying off. Unemployment has creeping down in Hobart. Remember of course Hobart was an area where actually more people were leaving the state than staying in the state for awhile particularly in the 1990s and that trend has kind of stopped now and I think it’s it may well reverse. But yes, it’s going to require continued outperformance for the local economy. But for now, all the indicators are very positive for housing. You can buy a house there close to the city for under $500,000 dollars in basically a within a 10-minute walk. Is it for everybody? No, it isn’t. No question about that and there would still be some restrictive employment opportunities certainly for some industries. But in terms of property investment, it’s looking pretty good. We’ve got vacancy rates now in Hobart at under 1%. We’ve got rents rising at 7% per annum. The yields there are quite high. They’re basically at 6% growth. And as mentioned, this is definitely an affordability play. What will happen over the next 10years, I’m unsure. As mentioned before, it’s going to require a stronger economy for this momentum to keep going. Jane: Interesting. Well, I’m so glad to hear that we’ve got some opportunity ahead of us in 2017 even if there are some clouds on the horizon. I really appreciate you sharing your insight with us and your story too. I know that sometimes it’s hard for people when there’s so much information out there to understand where the data comes from and how it’s presented, so I think you’ve really given us some clarity about the kind of triggers the information people should look at and some of the key stats that should be monitored, so I really appreciate your time. Thank you, Louis. Louis: Thank you Jane. And hopefully your listeners will get something out of all that. Jane: I know I did, so I’m sure they will. Thanks a lot. John: Tons and tons of information in there. I’ve got a page of notes here. Jane: I know. Me too, me too. 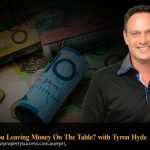 It’s really interesting we talk to people about how they start and I know a lot of the people we interview are quite well known in the property space and in Australia and overseas. But the reality is, we just love hearing about how they started and their first property investments. But he didn’t start with a bang really, did he? Jane: I mean, it really has been a lifelong career. He wanted to give quality impartial information for people so that they could use that when researching and buying their own property. Some travesty that happened in his past has really turned that in around for the good of everyone. I know, I mean, I refer to SQM Research website regularly, so really really great. The other thing is that I loved about his start was he started with not the typical type of property. John: Yeah, the industrial property. Jane: Yeah and on the Gold Coast. He wasn’t shy of that location after his grandparents got slammed there. I think when we talked about, and he talked about this, the risk reward of yield in the interview that he had I think it was a net yield of 12%, so probably a gross yield of 15%. And we’re talking about residential property markets in Australia, 2.5 in Sydney or 3% rental yield. John: Just for a sec Jane, would you mind just explaining that difference between net and gross yield. Jane: Sure. A gross yield essentially is if you have $400,000 dollar property and you have a 5% percent return, then $400,000 x 5% is $20,000 dollars a year. That’s kind of the rent that you’re getting divided by 52 weeks in the year obviously, so that’s the gross. Whereas the net yield is where you say, once I have that gross rent of $20,000 I then have to pay $3,000 to the management or the rental manager. I then have utilities and rates and all your expenses come out. Now, the interesting thing about the commercial property, one that some people may not know is that all of those regular external expenses other than the rental manager are actually paid for by the tenant, so there’s not a lot of additional expenses but as Louis says there’s risk and reward around those type of yields, so you may have 6 months, 12 months. I know I’ve had clients that have bought industrial sheds or shops that had over 24 months vacant. Jane: There is that good potential. Jane: Exactly. It’s interesting looking at yield and that as a function of what the market is doing. And of course Louis invented the vacancy rate index. Jane: We’ll probably try to put the link in the show notes to this. Janes: However, as you all guys know links change, and website change, so you’ll be ___ early 2017. John: Yeah. Use that search function. Jane: And it was a great piece of advice because we often start with the census data to try to get know and feel the demographic or the typical type of person who lives in a suburb, but this is an extra report that I’m going to definitely download now to look at. John: Yeah, me too, yup. Jane: So the other thing you said was, you asked him the question, “Is this market cycle different?” But he didn’t think so, did he? John: It was great hearing how the indicators that he uses to look at the market cycle too so he said that, I’ve got here, “the monthly listings data.” And it was good too that he talked about the supply side and the demand side. On the listings data which is on the supply side that helps him pick those turning points in the market. Jane: And that allowed him to pick some turning points that have happened in the past too. They have been the first to call like the slowdown in the Sydney market in 2004 by starting to define those turning points. John: Yeah. I’ve got here, third quarter auction prices were coming down lower than expected and he realized that the market was also overvalued at that time too which he also said now the Sydney market and the Melbourne market was overvalued but he said it needed to be paired with those triggers for something to happen. He gave us a couple of predictions too he. Jane: He did. Obviously, we’ve been on an upturn for such a long period of time and the East Coast and arguably and he predicts with that commodity resurgence Adelaide Perth and Darwin might be ready for an upturn, but the downturn triggers that we have to watch for, that a major event trigger is what he said has to occur to make that dramatic momentum change in the market. Those major major kind of event triggers he talked about APRA Jumping in maybe once again changing some regulations for the banks on how they assess people’s borrowing capacity or restricting the amount of investors in the market. I was just reading this morning that maybe May to June APRA might step in again and make some more changes, so that’s interesting. And then once again, interest rates. John: Another possible trigger, yeah. Jane: RBA, all banks putting up the interest rates. And then, there’s something completely out of our control. John: Yes. They’re made over in the U.S., Donald Trump. Jane: Yeah. We’re not sure what he’s going to do to affect our interest rates or our commodity prices or free trade or who knows. Watch this space because we’ll be watching it as well. John: He generally had a positive forecast for 2017. Jane: I was also relieved to hear that. John: If it all goes wrong blame him. Jane: Louis didn’t call it. We’ll come and get you. John: The forecast 6 to 10%. Jane: Yeah, which is great. And he was saying Sidney still had 11 to 16%, Melbourne 10 to 15%. But one of the big things that he made the call was Hobart. Jane: Yeah. That was interesting. John: I ___ feel to be happy about that. John: It was interesting though what he said about the good governance in Tasmania that’s really helped with the turnaround, so I guess it can easily go the other way too. John: It’s amazing what a difference that makes. Jane: Absolutely. You can grab that boom and bust report off this SQM Research page and, but yeah, we got a few little highlights. I was really grateful for him for sharing those with us. One other thing is if you do go to SQM research, the page, and you put in your postcode there’s a page that comes up which is the price per square meter coefficient curve, and I know that Louis invented it for a whole different reason, but if you’ve seen me do any analysis on suburbs I particularly love that especially if you’re thinking about doing subdividing because what it does is it actually shows you all the sales and you can look over the last 12 months or any period you choose, but you can actually see the sales plotted out per square meter. It gives you a very quick indication that 600 square meters is where most of the properties are selling. If you don’t see a lot down at 300 then subdividing a 600 to two 300 would mean that you might be first in the market to do that and there may not be a demand. It just gives you an indication of what that standard size block is in a suburb as well, and I just love that from a quick little getting to know these suburbs. John: Yeah, it’s a great tool. Jane: Fabulous. SQM Research, if you haven’t been there, go, have a look around. Jane: Another huge, huge episode. What do you think? So many takeaways. John: Yeah, absolutely. And another top Australian property expert. John: To go along with the long list. Jane: I know, I know. I just love chatting to these people. I’d do it without the podcasts to be honest. John: You can use this as an excuse, doesn’t it? Jane: So, with some trepidation. Terry: Hello, can you hear me? John: Yeah, loud and clear. How are you going? Terry: Yeah, good man. Yourself? Jane: Hey Terry, so are you ready for Suburbs Against the Clock? Terry: Hello Jane. ___ I guess. Jane: Where are you based Terry? Where would you be playing for today? Jane: And tell me whereabouts are you on your property investing journey? Terry: Yeah, so we got a few investment properties and we’re just in the middle of moving into a more active strategy at the moment with a development down in Camden, so that’s hopefully just being advertised at the moment, public consultation phase, so fingers crossed we get through that unscathed and we can move into permits and building. Jane: Fabulous. Well, John’s done a few developments and got one sold last month you got another one just sitting in the market next month. John: Yeah, that’s right. Finishing, getting a handover the builders this week. Are you playing for Melbourne? Terry: I might as well, so yeah. It’s got the best chance there I think. John: All right, so you’re familiar with the rules 10 suburbs in 20 seconds. John: Okay, so my question for you is, name 10 Melbourne suburbs above sea level. Terry: Glen Waverly, Box Hill. John: Five. Five seconds to go. Jane: Yup, he’s in. I’ve got ten. Jane: I’ve got ten. All I could think of are things on top of hills. Terry: (?) That’s right stuff to think of. John: I haven’t googled it but I’m pretty sure nearly all of them are above sea level. Jane: I got to say otherwise they’d be underwater, right? Terry: They had to be wouldn’t they? Yeah. Jane: Port Melbourne, you probably got about half a metre in it, but you’re still above sea level. Good job. Terry: Yeah, just, a couple of high rises there. John: Jane’s __ that, you’re in mate, you’re in. John: So, dealing with explosive for 12 years will do it to you. Jane: Yeah, that’s right. Well done Terry. Congratulations to you. You’re getting 12 months access to the Your Property Success Club and access to the private Facebook group, so I look forward to seeing you in there and hearing more about your development there too. Jane: See you later, bye. Terry: Yeah, alright Jane, bye now. John: And if you’d like to test your knowledge in the best suburb quiz in Australia. Jane: And still the only suburb quiz in Australia. 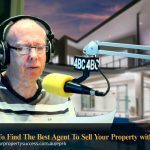 John: Not being copied any time soon, simply e-mail support@yourpropertysuccess.com.au and use the subject line Suburbs Against The Clock. Jane: And if you have any suggestions for questions in the future we are definitely open to hearing them. So, John, a great day, a great guest. I really enjoyed speaking to Louis. He was so generous with his with his time and information and I think a lot of people, experienced investors and first time investors are going to take a lot information away. Jane: And if you want to gain instant access to the transcript of this, plus get show notes, free training material, anything that we’ve actually mentioned in the show, then please head over to yourpropertysuccess.com.au/ep11. And that’s, your property success dot com dot A-U, the letter E for echo, P for papa, and the number 11. Okay guys. Well, all the best and thank you for listening to Your Property Success Podcast.